I had an awesome visit at Victoria Island today, January 16, 2013. The sun was warm and shining bright, not interfered with by even the smallest clouds. Large geese, unafraid of people around them, walked about like military brass inspecting their troops. Nearby, the fire cracked and a man sang an ancient song, the drum sang with him. The background sounds of the city disappeared, seemingly swallowed up by ghosts from long ago and only peace and welcoming energy remained. I was not fortunate enough to see Chief Spence but am confident that she benefitted from the blessings of the day as I and all the others on the island did. All the days of a season are equal, none is greater in its ability to receive an offering of tobacco than is any other day which passes from one moon to the next. The season is strong, from its first moments of life to the last moments of its existence. Still, a special day will occasionally arrive, one chosen by the creator for the purpose of lessons being shared and lessons being learned. Wednesday, January 16th was such a day. Most Canadians will never understand what a sacred fire communicates to the spirit of a First Nations person. The ability to hear the messages of the fire has been lost to them because of technology. The fire casts its voice into the circle created by its brightness. During night we see the range of its voice. During daylight, the fire’s voice does not extend any further nor any less than it does at night. It speaks and those within the range of its voice listen carefully. It is up to them to share or not to share what the fire has told them. 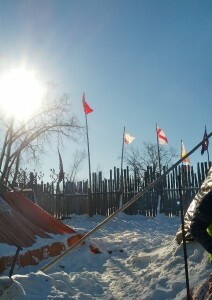 It is up to them to take the message of the sacred fire far away into territories where the sun rises or sets. 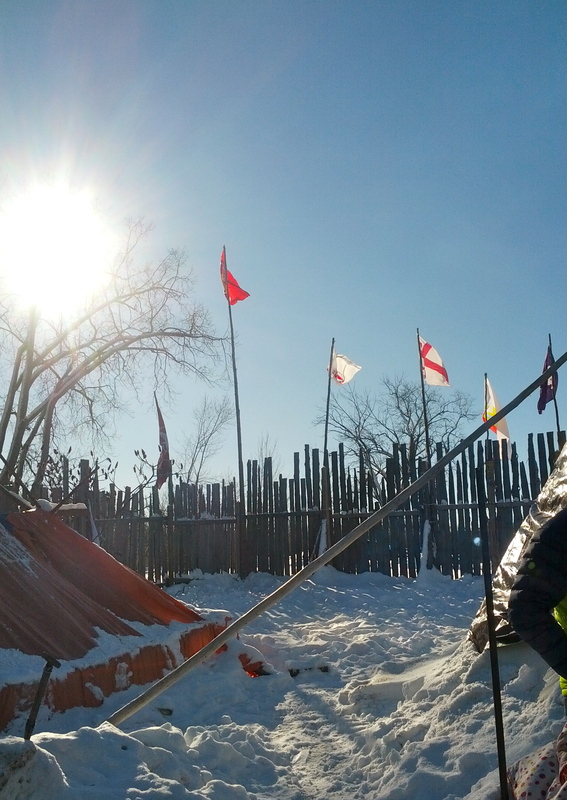 It was humbling for me to sit by the fire and pray for the brave Chief in the teepee. I prayed, too, with those people who place their tobacco and prayers of support for the Chief into the fire. I was warmed by the fire and by the songs of the singer, the drum, the presence of the eagle feather and the energy of the good people sitting or standing within the perimeters of the voice of the fire. My friends, Chief Spence is not a criminal. The fire burns for her and for all good peoples living on Turtle Island. Do not allow the lies of hate mongers to diminish the voice of the fire. We have a great opportunity to be united in a cause, for the good of our next generations. Let’s not waste it. This entry was posted in Chief Spence, Spirituality and tagged #IdleNoMore, Aboriginal, Albert Dumont, Attawapiskat, Chief Theresa Spence, circle, eagle, fire, Indigenous, peaceful, prayer, sacred, sacred fire, treaties. Bookmark the permalink.